With over two decades of experience (but still in his early thirties), Mitja Prinz has remained an active figure in the development of Berlin’s dance music history. His impressive longevity as a DJ is not a matter of simply adapting to trends, but helping shape them, creating a truly international resonance in the process. Prinz’s first foray into DJing began at age nine, and aside from traditional musical training, he developed his mixing skills within the hip-hop scene before crossing over to house music. By 1995 he caught the attention of the legendary club Tresor where he developed his famous marathon DJ sets, keeping the crowd engaged for up to 14 hours. As his reputation spread, WMF Club offered Prinz a position as resident DJ alongside cohort Dixon, and the duo introduced new sounds into the techno capital, inviting acts such as Metro Area and Larry Heard to perform. During this same period, Prinz also acquired long-term residencies at Tresor and E-Werk and soon finding himself behind the decks in London, Paris and Barcelona. As the next logical step, he released his first mix CD on Tresor Records in 1998, an international success. Around the new millennium Mitja Prinz decided to begin his own original productions. 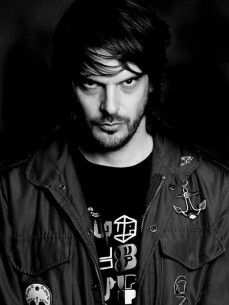 His 2001 debut EP Jack Crack sold over 8,000 copies, and its follow-up 7 Minutes of Macca became one of Anja Schneider’s favorites of the year. Aside from his club-functional tracks, he has composed music for films and commercials and has co-produced for other acts such as Toktok vs. Soffy O and Namito. Still active as a DJ, of course, Prinz was the opener for DJ Sascha’s 2006 tour of Germany. Since then, Prinz has been running YES!, a monthly night at Berlin’s Watergate with guests such as Carl Craig, Radio Slave and Moodymann. On the production end, his latest EPs from 2010 have gained support from the world’s top DJs (Richie Hawtin, Dubfire, Danny Tenaglia et al. ), and he has fulfilled remix requests from the likes of UNKLE and Boundzound. With the uncertain future of dance music, we fortunately have this veteran to help point us in the right direction… stay tuned for more from Mitja Prinz.